In case you were wondering what’s going on with the beloved RiseBoro Bushwick Farmers Markets come colder weather, rest assured that the farmers and artisans are still going strong, selling beautiful seasonal veggies as well as other products. 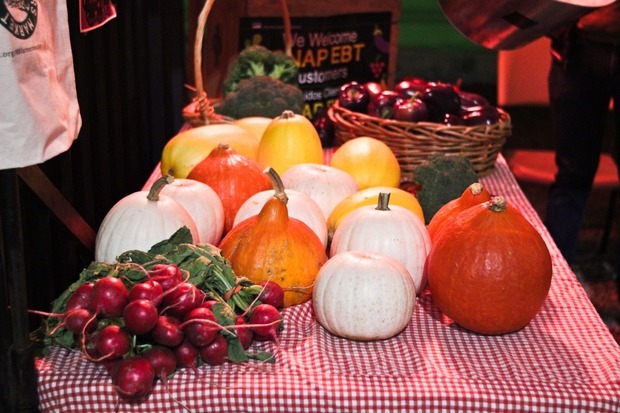 Through mid-December you can support your local food community at any of the three markets. SWING BY THE MARKET EVEN IN THE COLDER MONTHS! “We’re here with all the attitude to make it a fun Friday stopover. We even have a DJ,” said Ali Toxtli, the market manager on a recent October Friday night. 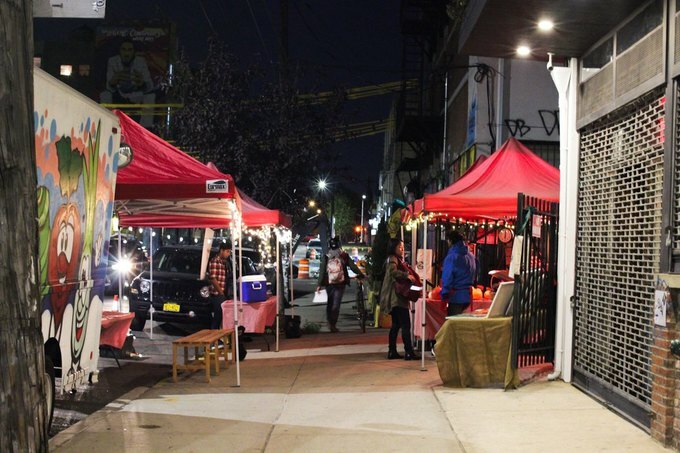 Several stands at 434 Troutman St. (between St. Nicholas and Wyckoff avenues) were adorned with string lights, alluring the passersby to colorful produce such as apples, pumpkins, squash, corn, or honey. RB Farmers’ Markets also continue to highlight art created by seniors who patronize the various senior centers operated by RiseBoro Community Partnership. For a donation of $25 you can take home a beautiful painting, all the while knowing that you’re contributing to valuable programs for seniors. 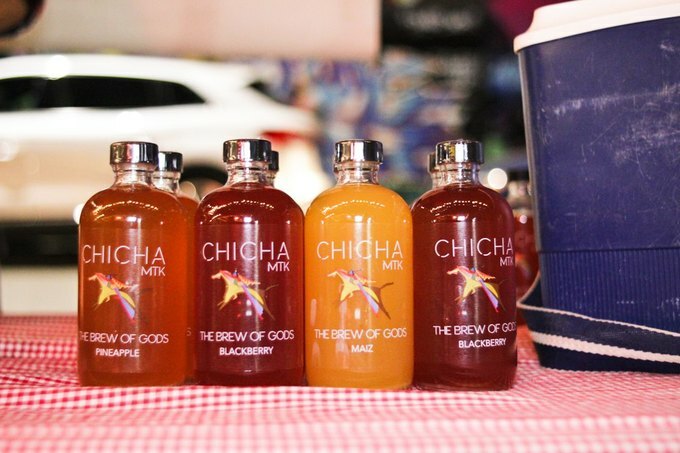 This past Friday night, Bushwick Farmers Market highlighted Chicha MTK, a producer of a fermented beverage called chicha. Think of it as of your cooler kombucha (even though its preparation as well as taste is very different). We tried chicha and confirm it's delicious. Moreover, it is a drink rich with probiotics and antioxidants, and according to the Latin American tradition, chicha brings its consumers many spiritual benefits, such as heightened intuition and other superpowers. Chicha might contain up to five percent of alcohol, but Sergio says his chicha averages two to four percent depending on the fruit dose. Sergio moved to Montauk from Colombia five years ago. He grew up around chicha and didn’t think much of its significance. It wasn’t until his friends pointed out how great the drink was that he got the idea to start a business. 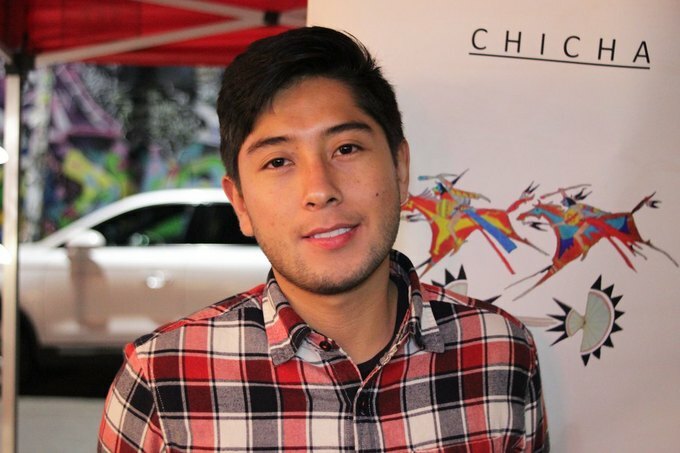 He began fermenting his own chicha during a summer break from Fordham University where he studies economics. “I was looking at the functional beverage industry, and became very passionate about everything healthy, organic, and recycled,” Sergio explained. Chicha MTK is currently based out of The Food Works at 620 Flushing Ave., and bottled chicha is available at RiseBoro Bushwick Farmers Market. Make sure to swing by to taste a bottle or two before chicha becomes a thing! 434 Troutman St., Fridays, 6 p.m. - 10 p.m. 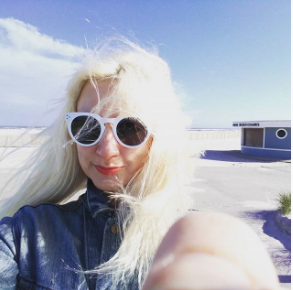 Follow RiseBoro Farmers Markets on Instagram.